Psychologists are required to go through a tremendous amount of schooling, training and testing to acquire a professional license to practice in the field. In New Jersey a psychologist is required to complete a doctoral degree program in psychology and complete at least 2 years of experience or 3500 hours of supervised training just to be eligible to sit for the Examination for Professional Practice in Psychology to acquire a license. Needless to say there is an extraordinary investment made in acquiring a license for a profession that is entirely dedicated to helping people that struggle with mental and emotional issues. Given all the hurdles to acquire a license and the responsibilities and duties a psychologist has on a daily basis, it can be overwhelming to one day find that an investigation into some misconduct by the State Board has been commenced which can affect your license in New Jersey. It’s important that if you are found in this position to know what your options are and how to keep your license. If you are a psychologist and are facing a malpractice claim or facing a criminal charge, even when one that is unrelated to your employment, you should contact an attorney to help protect your right to practice. Who Disciplines Psychologists licensed In New Jersey? Any accusation or misconduct can have a negative impact on your ability to practice. 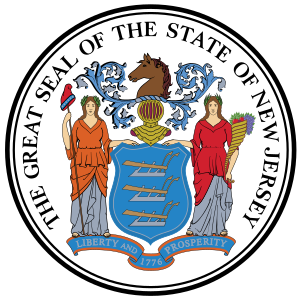 The New Jersey State Board of Psychological Examiners issues licenses and is given authority to regulate the practice of Psychology in the State of New Jersey. The State Board may initiate an investigation and take disciplinary action like suspending or even revoking a psychologist’s professional license. It can be devastating to dedicate so much money, time and effort in becoming a licensed psychologist only to find that some misconduct can cause you to lose your license. The New Jersey State Board of Psychological Examiners can be aggressive in investigating claims and can put immediate restrictions on your ability to practice in New Jersey. In many cases simply being accused of some misconduct can result in license suspension. You need your license to legally practice in psychology and earn your livelihood. If you have a professional license and are facing criminal charges, you need an experienced criminal defense attorney to help keep your record clean and help you get your professional license restored. Contact The Rosenblum Law Firm today for a free consultation about your professional license matter. We are ready to defend your rights and help protect your license!